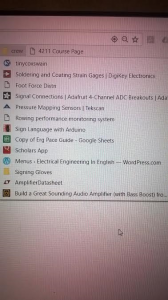 When you write a research paper, does your bookmark bar in your browser ever look like this? Ever have a TOO crowded bookmark bar? Just a list of links and page titles. Collecting the information, without a doubt is the easiest step. The hardest will be going back through all these pages, rereading, quoting, citing, collecting images, paraphrasing–shall I go on? However, fear not esteemed colleagues; there is an easier way to organize your information for that paper that will save you both time and headache! If you are a CSD student, you have access to Read&Write by Texthelp. 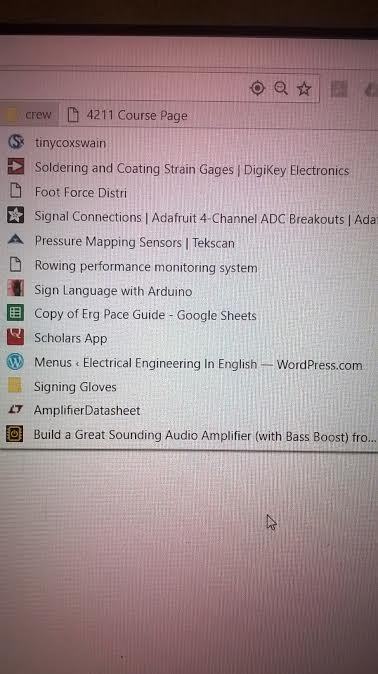 This is a toolbar that sits on top of your computer screen, and is mainly used for its read aloud feature. Today I will tell you about the “Fact Folder” feature. “Fact Folder” works with your browser and helps you collect and organize data. For an example, I am writing a research paper on wind turbines. I have two sources that are of particular importance: one I need to quote and one I want to keep a particular image. By using “Fact Folder” in Read&Write, I can save all of these and make a bibliography in the process. Highlight your quote and click “Fact Folder”. A window appears. Automatically populated in the window is the title of the web page, the url link, and your highlighted quote. You can annotate the quote, add the author of the paper, and categorize the fact (such as “generator design” or “wind blade design”). Click the “Fact Folder” dropdown arrow and select “Add Image from Web”. A pop-up will appear in the lower left hand corner of the screen instructing you to hover your mouse over the image. By placing my mouse over the image, the image will appear in this pop up and then the Fact Details pop up will appear. Fill in the name of the picture and annotate it as you wish. The source URL of the picture automatically saves. 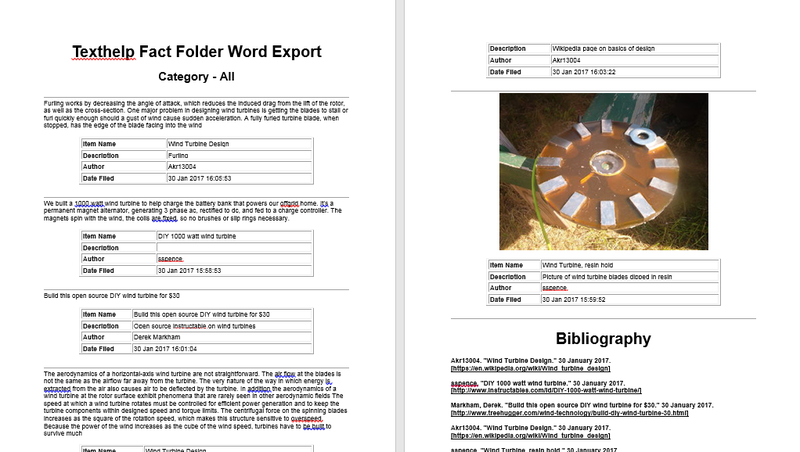 Now that I have all my facts together, I can review them in a single word document by clicking “Fact Folder”>>”Review Facts” and clicking on the Word document icon. Now, you have all your facts, organized clearly by source and category and your bibliography is already written!! (email us at csdtech@uconn.edu if you want it installed on your computer! 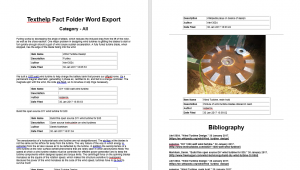 This entry was posted in Tech Blog and tagged Assistive Technology, Fact Folder, Organization, Read&Write, Research Help, TextHelp.